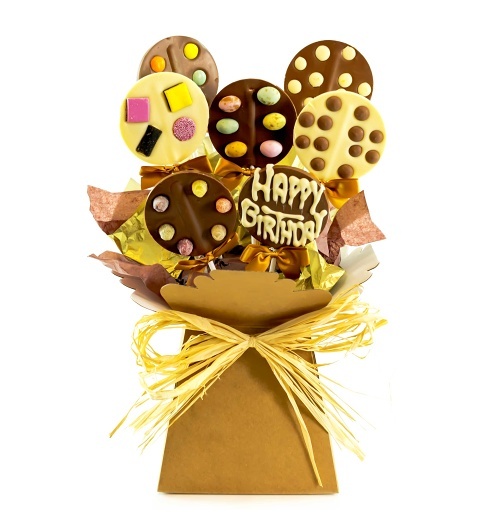 Send this awesome gift of colourfully decorated lolly pops to wish a friend of loved one for their birthday! This fun gift is beautifully packaged and includes a lolly with “Happy Birthday” written on it! Whether you want to wish your partner, friend, or a co-worker, this is a fantastic and beautiful gift that will make them feel extra special! Be sure to include a personal message to go with this gift!